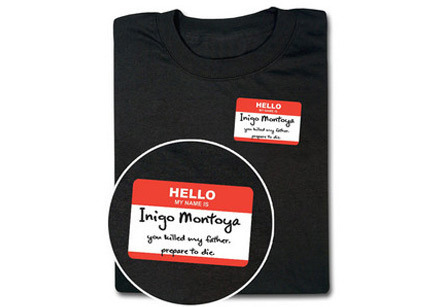 Inigo Montoya t-shirt. This is too good!. Wallpaper and background images in the The Princess Bride club tagged: t-shirts fassion the princess bride screencaps robin wright penn rob reiner cary elwes mandy patinkin 1987 film.